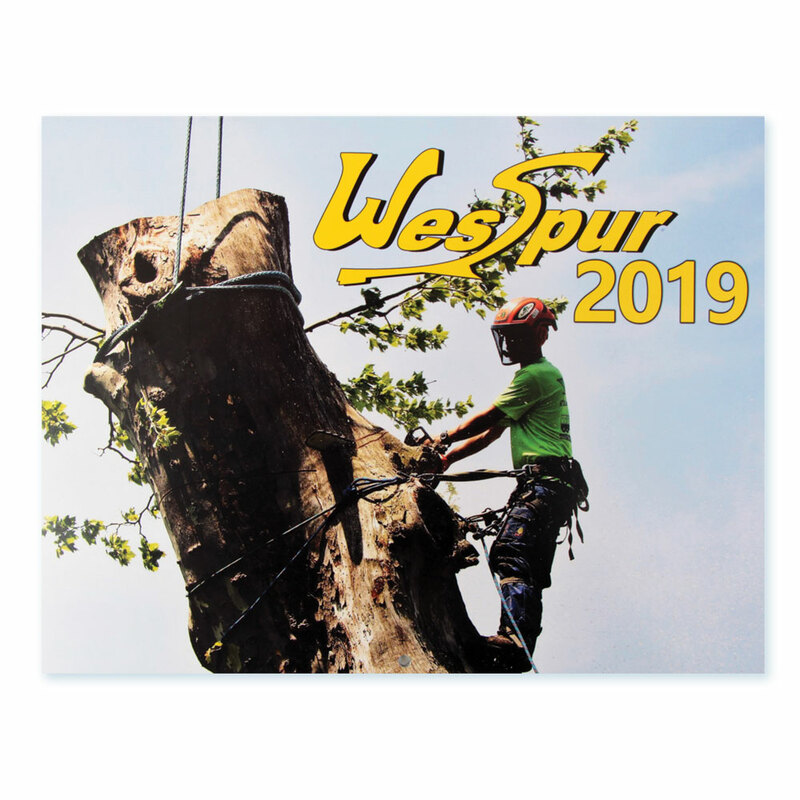 WesSpur has published a free calendar since 2014, featuring great photos from our customers working and playing in the canopy. We want to shine the spotlight on the awesome things you do with your new gear once we've shipped it out! We publish a new calendar towards the end of each year, and start looking for new photos for the next year in the Summer. Our 2019 Calendar is here and will be included in all orders until January 3rd. When calendars are in stock, they are available FREE in any order on our WesSpur gear page. Quantities are limited; once they're gone for the year - they're gone! Time to get out the camera! Some specifications: Minimum size: 9 x12 inches at 300 DPI (2700 x 3600 pixels). This means we won't be able to use most cell phone photos, due to resolution limitations. Even the greatest picture in the world will look bad stretched to print size, so please make sure your photo meets these minimum size guidelines! Gear and tree work techniques shown must comply with safety standards. Proper PPE must be worn! Send us your pics! Email your best pics to photos@wesspur.com. Subscribe to our Newsletter to see winners announced, and know when the new calendar is available! Follow us on Facebook and Instagram to stay up to date with the calendar progress, and show off your entries!